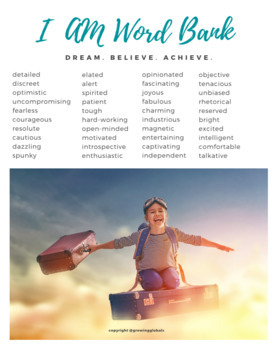 The benefits of "I Am" statements are monumental! Having the ability for a student to state that I AM GIFTED, I AM UNIQUE, I AM A ROLE MODEL is somewhat life altering. In this incredible FREE resource we start by identifying the strengths of the student/chid. 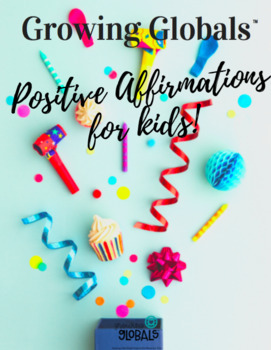 The reason why it is essential that our children have a strong belief system early on is because research has shown that we all learn our belief systems as children, and therefore we wish to establish a positive attitude around our strengths and abilities. 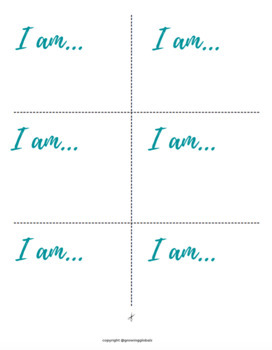 Choose from pages of I AM...finishing statements that can appeal to any child. We let them also explore what they are good at. 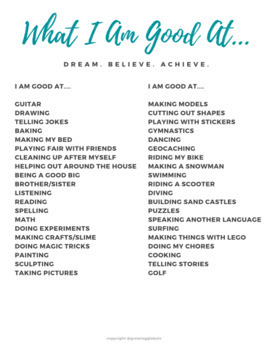 In the last page(s) it allows students to put pen to paper in order to flush out what they are good at and create their own I AM statements! POWERFUL!